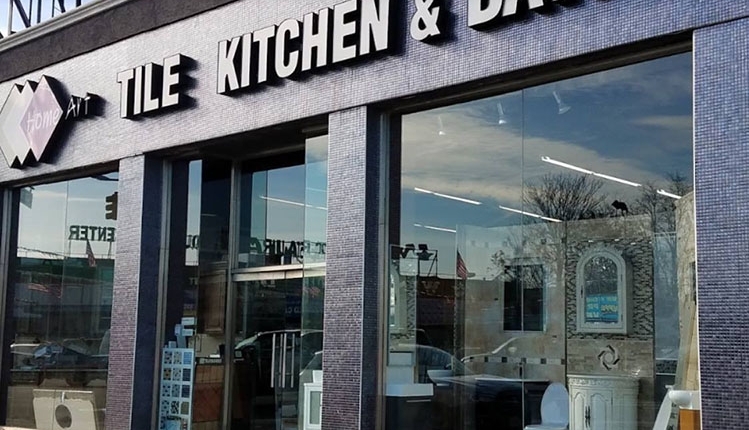 Visit our kitchen & bath showroom in Queens, NY to explore beautiful kitchen cabinets, countertops, vanities, tiles, and other fixtures. Speak to a designer to get started 718-433-0060 or fill out the contact form. Come in for a consultation, discuss your plans & get Free 3D Design of your dream kitchen or bath. Get an accurate quote for remodel project, mix & match, because options are unlimited. 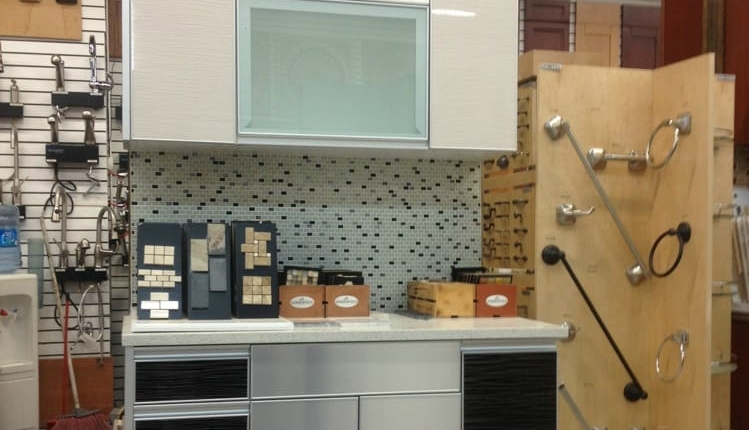 A fantastic selection of kitchen & bath products is at your fingertips, here at Home Art Tile. 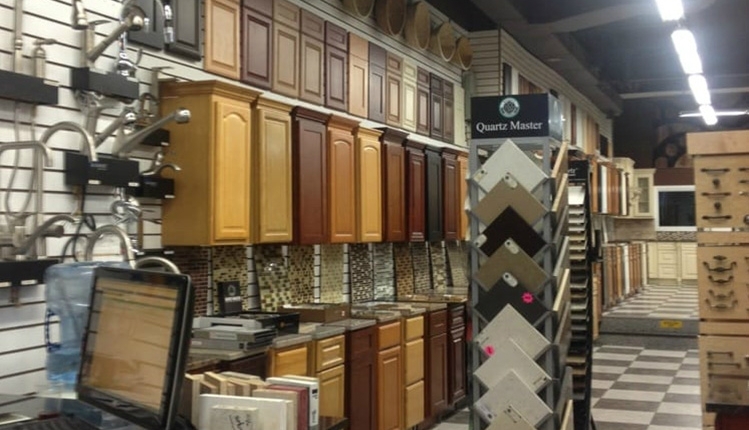 We provide unique experience of one-stop shopping for everything you may need for your remodel project. Based on the completed 3D design, we will order cabinets, vanities, countertops, and other products. If you need an insured and fully licensed, reliable local contractor to install the products, we can help you with that, too. Our kitchen cabinets for sale are tailored to match any lifestyle and taste of homeowners living in the New York, Manhattan, Brooklyn, and Queens area. With clean lines, beautiful colors, a vast array of finishes, lots of storage space, and real wood material, our modern kitchen cabinets will make your dream of a perfect kitchen come true. Whatever style, color, or finish you’re looking for, we’ll help you find it. We provided discount prices, free estimates, and 3D design, so you can see how the beautiful kitchen cabinets of your choice will look like in your home. 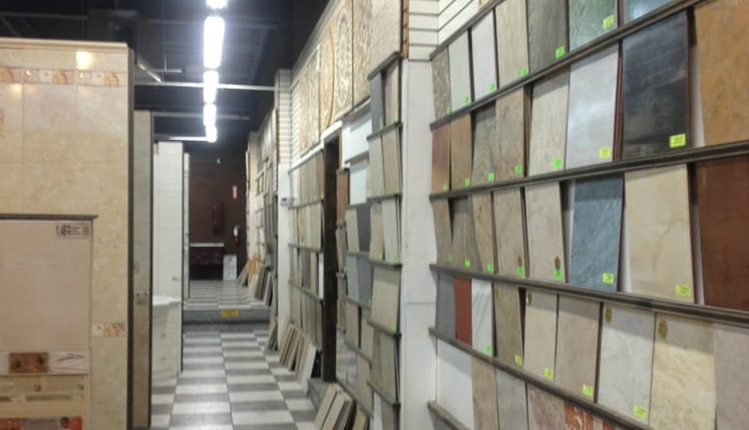 Home Art Tile kitchen cabinet showroom is conveniently located only 5 minutes from Manhattan, in Queens. Contact us today to get started. Your kitchen is your safe haven, a place where meals, dreams, and plans are shared, where memories are made. Why not make your kitchen the queen of all the rooms in your home and give it the status it deserves? Start by browsing our wood kitchen cabinet selection that is compiled of the best cabinets made by the most loved kitchen cabinet brandslike Fabuwood, CNC, Cubitac, and Forevermark. What does your dream kitchen look like? Is it contemporary and white, or perhaps sleek and dark? How much storage space you have? Is it one thing to know what you love and want but completely another to know how to get it. Home Art Tile Kitchen & Bath is here to assist you in making your unique kitchen vision come true by offering you the best selection of modern kitchen cabinets in NYC. Kitchen cabinets will occupy the most of the kitchen space. They are your chance to make your kitchen both beautiful and functional. 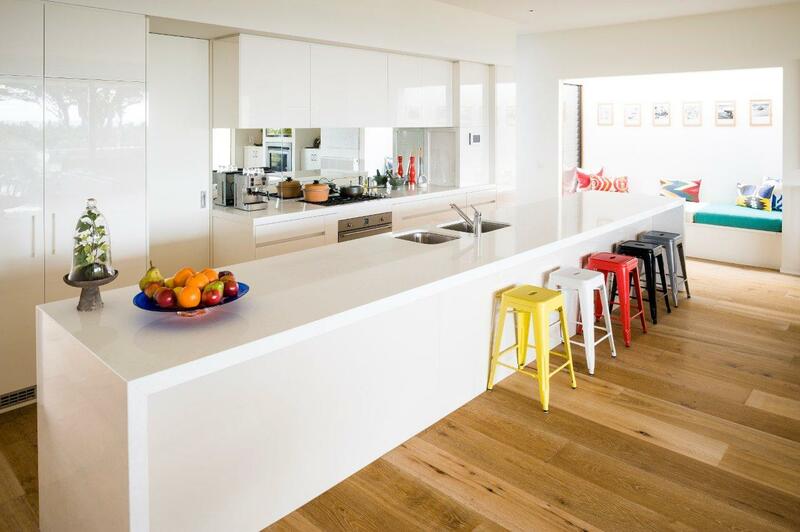 Since cabinetry is the most visible element in any kitchen, it can beautify not only your kitchen space but your entire home, especially if you have an open plan kitchen. This is why we encourage you to take a look at different kitchen cabinet colors we offer. Here is our compilation of different kitchen storage cabinets that will go well with different types of kitchen layouts and that will successfully amplify your kitchen style. White kitchen cabinets are possibly the most popular kitchen cabinet style on the planet during the last few years. Gramercy White made by Forevermark Cabinetry features a special kind of style with cabinetry’s raised panel design, dovetail drawer boxes, full extension soft closing drawers, and soft closing doors. Bathe your kitchen space with comfort and sophistication, consider Gramercy for your kitchen remodel. Grey kitchen cabinets look very stylish in most spaces and, at the same time, they succeed to balance different elements, finishes, and colors in the kitchen. Matrix Greystone by CNC Cabinetry comes in this versatile color and gives you the richness, depth, and color of a real wood, but with a longer lifespan. 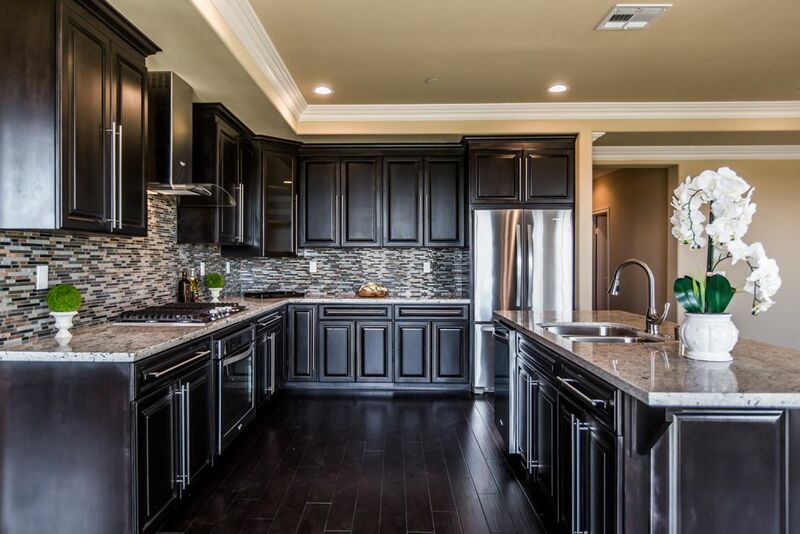 If you want to make your kitchen space ultimately stylish and expensive looking, black kitchen cabinets will be a perfect choice. 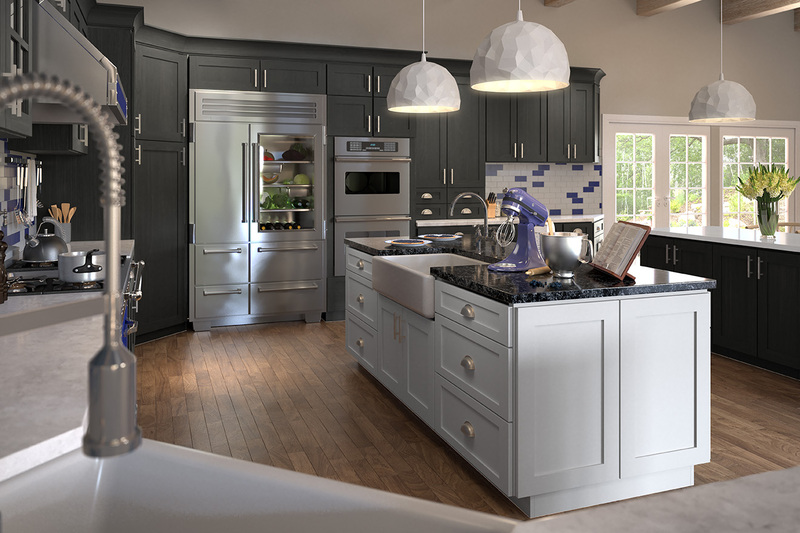 Contemporary or traditional, with different finishes and details, dark cabinetry fits all kitchen styles and classes them up. Downtown Dark Kitchen Cabinets by Forevermark encapsulate simple, clean lines and highly refined look. Simple yet elegant, this cabinetry combines a classic design with subtle detailing, along with dovetail drawer boxes, full extension soft closing drawers, and soft closing doors. A bold finish creates an unforgettable design that would particularly benefit from contrasting features in a room. Whether you prefer cherry, maple, oak, or pine, you will agree that real wood is the best building material for kitchen cabinets. 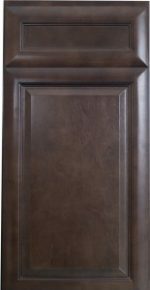 Numerous finishes available to make your plans and visions possible The K8 Mocha Rope Glazed kitchen cabinets are 100% wood cabinets with full overlay door panels that are ¾ inch thick each. Mocha also comes with under-mounted dovetail drawers with full extension, soft close, and solid wood sides. The drawer glides are concealable and made of steel. Base cabinets are further lined with a half-inch thick cabinet grade plywood with metal bracket reinforcements. Each of the mocha glazed cabinets has a 6-way adjustable European hidden metal hinges that allow for the soft-close. 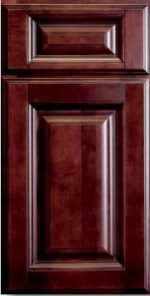 Crème Maple Kitchen Cabinets, just like the mocha rope glazed cabinets, have a full overlay door panels, each ¾ inch thick. These are also made in the dovetail drawer design with half-inch thick solid wood sides. Their drawers are also full extension with under-mounted concealable glides. These cabinets are available in two forms. The most common types of cabinets have four-way adjustable hidden metal hinges while the others have 6-way hinges. However, both have the optionality of the soft-close hinges. Geneva cabinets by Fabuwood have quite different features than the rest and offer a different taste from the normal dovetail drawer design. These white cabinets adopt the combi-plywood frameless construction design with a quarter-inch MDF 5-piece backing and a three-quarters inch MDF raised panel thermo-foiled doors. Geneva cabinets are side mounted with epoxy coated slides and six-way clip-on adjustable hinges. The cabinets also facilitate for combi-plywood adjustable shelving. What Geneva cabinets stand out from the rest is their big size. The wall cabinets have twelve and a half inch deep shelves while the base cabinets have 18 inch deep shelves. Additionally, while all the cabinets are laminated white, base cabinets have an additional full dust cover dust feature. These kitchen cabinet doors are some of the most popular because of their ability to blend in with different kitchen finishes and various interior color mixes. Home Art Tile Kitchen & Bath team will assist you in finding the right kitchen cabinet style for your home and budget. We offer discount prices, free estimates, and 3D design and we are conveniently located in Queens NY, only 5 minutes from Manhattan. Every home needs a kitchen, but your home deserves the look and feel that only our kitchen cabinets can provide. We offer you a smart way to create your dream kitchen. Start today and get inspired by our kitchen cabinet collection of different kitchen cabinet door styles and colors.